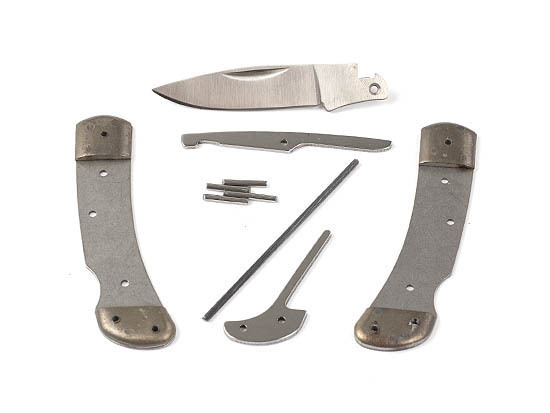 Wyatt's Lockback kit has a 2-1-4" satin finish, hollow grind blade that is made of AUS-8 steel. The bolsters and liners are stainless. The knife is 3-1/4" when it is closed and 5-1/2" when open. Assembly Instructions are included.